A veteran of 1971 Indo-Pakistan War in Bangladesh and Operation Meghdoot (Siachen glacier) and a MSc in Defence Studies and Instructor- in- Gunnery. Last served in Faculty of Studies at the School of Artillery, Devlali. Post premature retirement in 2000,he has engaged in research and on giving lectures and presentation on his research themes. He was a Research Fellow at the IDSA from August 2005 till April 2018. 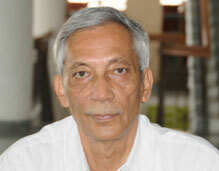 With effect from September 2018 he is a Consultant for the Indigenous Historical Knowledge (IHK) Project at https://idsa.in/history. Has an abiding interest in Non Traditional Security(NTS) including environmental security, water and climate change, military affairs, and Tibet. He was convener of the IDSA working group Security Implications of Climate Change for India (2009) and a member of IDSA Task Force Report: Water Security for India(2010). He is the lead author of IDSA Task Force Report Tibet and India’s Security (2012). Some select published books are: Environmental Security: Internal and External Dimensions and Response ,New Delhi, Knowledge World, 2003 ; National Security; A Primer , New Delhi, Knowledge World, 2004 ; Operation Bangladesh, New Delhi, Manas, 2007; Composition and Regimental System of the Indian Army: Continuity and Change, New Delhi, IDSA/Shipra, 2008; Environmental Security: New Challenges and Role of Military, New Delhi, IDSA/Shipra, 2010. From 2012/13 he has steered the IDSA project ‘Indigenous Historical Knowledge’ and has a number of articles, three monographs ,and five chapters on or related to Kautilya’s Arthaśāstra in four edited volumes of which he is also the co-editor of the trilogy Indigenous Historical Knowledge; Kautilya and His Vocabulary, Volumes I, II and III (20015/2016). His present research interest is Kamandaka’s Nitishastra and the Kural . The Peloponnesian war was fought from 431 to 401 BC between the Peloponnesian League led by Sparta and the Athenian Empire, known as the Delian League led by Pericles, the ruler of Athens. In the initial phase of the war, Thucydides (460–395 BC) was removed from command by the Athenian government after he failed as the commanding general to prevent a Spartan occupation of Amphipolis. He was exiled for 20 years. This came as a blessing in disguise for the scholar in him. The exiled general now had the scholarly atmosphere of solitude to write his book as the war was fought. This article aims to rediscover some key aspects of leadership and management latent in ancient Indian secular texts of statecraft and governance that are relevant in contemporary times. Consultant to Indigenous Historical Knowledge Project at IDSA, Col PK Gautam’s article, titled ‘Dharma: The Moral Aspect of Statecraft’ was published in UNISCI Journal, No.49, January 2019, University of Madrid, Special Issue on Contemporary India: Foreign and Security Policy. Consultant, IDSA, Col PK Gautam’s co-authored entry on ‘Kautilya (4th Century BCE) along with Shri Kishan Rana, has been featured in ‘The Encyclopedia of Diplomacy’, published by Wiley Online Library. This article posits that military science has been one of the most neglected subjects in Indian history in practice and in scholarship. Greater, popular scholarly focus tends to be mostly on subjects dealing with grand strategy and with it, abstract armchair theorising. While grand strategy is necessary at the political–military level, it is not sufficient as victory or defeat also depends on the capacity of the armed forces to achieve the desired results during the conduct of war. Research Fellow, IDSA, Col PK Gautam’s article on Kautilya’s Arthashastra, titled ‘Kautilya’s Arthashastra and its Relevance to Contemporary Strategic Studies’ was published in the April-June 2017 issue of the USI Journal. Research Fellow, IDSA, Col PK Gautam’s article on Mountain Batteries in the 1918 Palestine Campaign titled, ‘Murree and Pooch Mountain Batteries in the 1918 Palestine Campaign’, was published in the October- December 2016 issues of the USI Journal, Vol. CXLVI, No. 606. Research Fellow, IDSA, Col PK Gautam’s article titled ‘Military - Environment- Diplomacy Interface: Prospects for India’ was published by the Science Technology and Security Forum of Manipal Advanced Research Group (MARG), Manipal University.